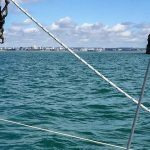 After crossing the Bay of Biscay in our first ever ‘Oh my God! We can’t see land!’ experience, we deserved a bit of a rest, some nice food and a few cold beers. 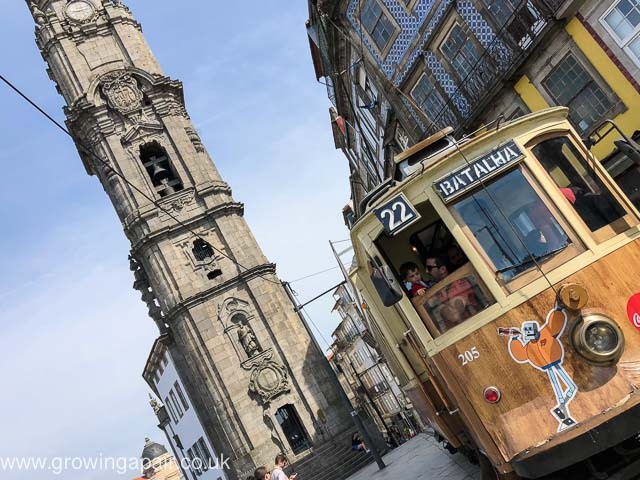 A Coruña (or La Coruña) in Northern Spain turned out to be a lovely town with atmospheric streets brimming with chilled out nightlife, a Roman lighthouse that has been in perfect working order since the 2nd Century AD and restaurants that serve octopuses as hats. We chilled for a few days with Uncle Adam and our friends Andy and Eleanor, who were on their honeymoon in Spain and had waved us into the marina from the end of the breakwater. 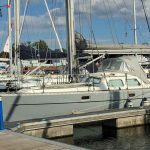 We sailed over to the little harbour of Ares for a day before Uncle Adam headed back to the UK and we continued our journey south towards the Canary Islands. The coast of Northern Spain is spectacular. Craggy, harsh, beautiful – very much like the Cornish coastline. We were frustrated by lack of wind and thick fog, but that brought its own challenges. Fog on the sea is eerily spectacular. 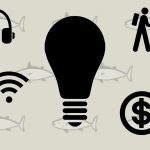 But Portuguese fishing boats don’t tend to have AIS and so would miraculously appear from nowhere. Rocks would suddenly appear as the fog momentarily cleared, apparently frighteningly close. We knew where we were but the fog makes it difficult to judge distances and messes with your mind. I can see why fog is used to build tension in those old scary movies. I wish we had had more time in the Spanish Rias. 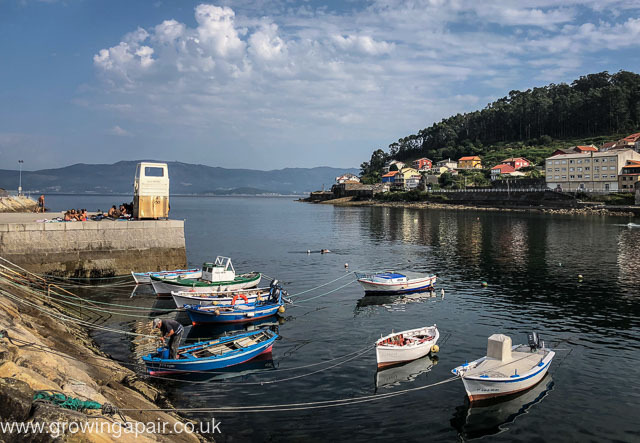 Camarinas, Muros and Baiona were fascinating and we could have spent time in many more places. But Dez was still working full time and he had run out of his allocated time off. 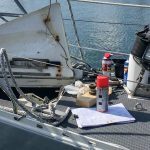 He was having to work remotely on the boat every day now and he was needed back at work in the UK. This meant passing by some of the places we would have liked to visit, but we made the most of the time we had. 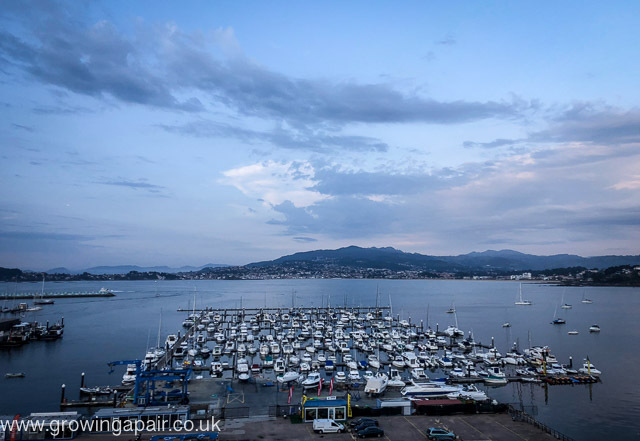 Baiona has two marinas. We chose the bigger, dodgy one as it was easier to get into. 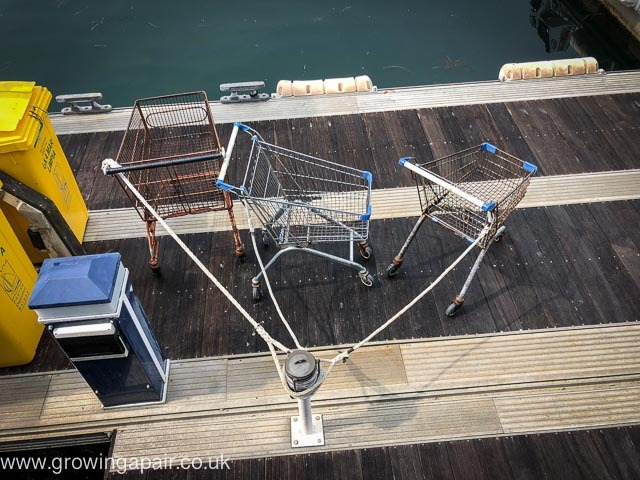 The facilities were falling apart and it was expensive, but at least they provided trolleys on the pontoons! 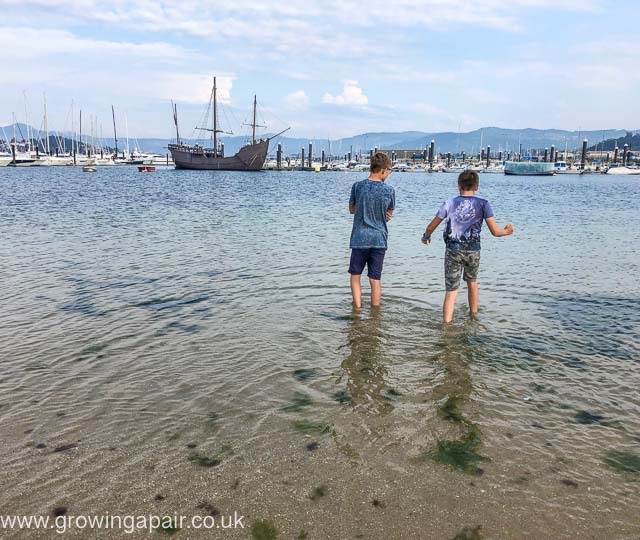 Baiona is home to a replica of La Pinta, one of three ships used by Christopher Columbus in his first transatlantic crossing in 1492. 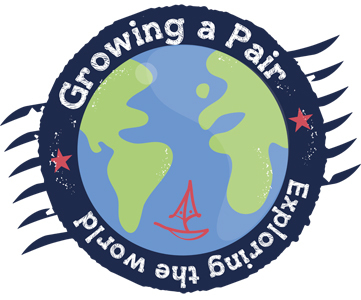 Baiona was where the Pinto landed after Columbus’ voyage and was the first place to hear about his discovery of America. 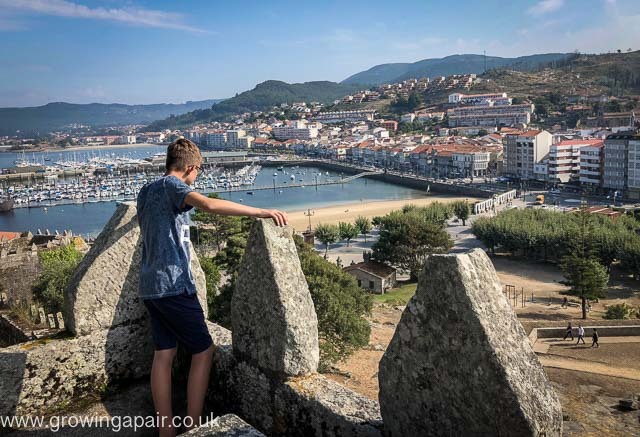 The view of Baiona from the top of the fort. The town has a medieval centre that comes to life with bars and restaurants in the evening. It’s also on the path of the Camino de Santiago so about 30,000 hikers turn up every year. 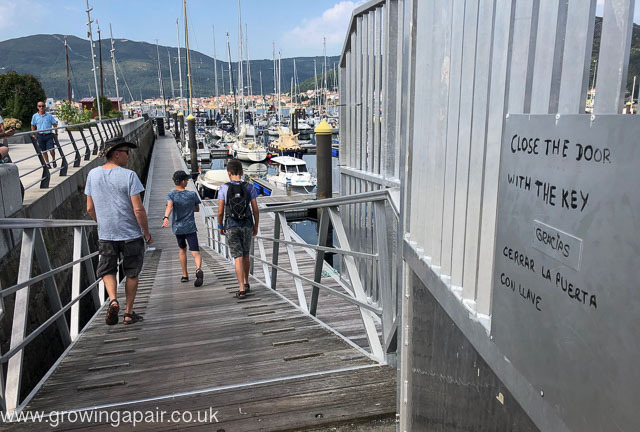 Baiona Marina – large and a bit dodgy. Don’t expect an answer on the VHF. Mind you don’t fall through the floor in the rotting shower blocks. 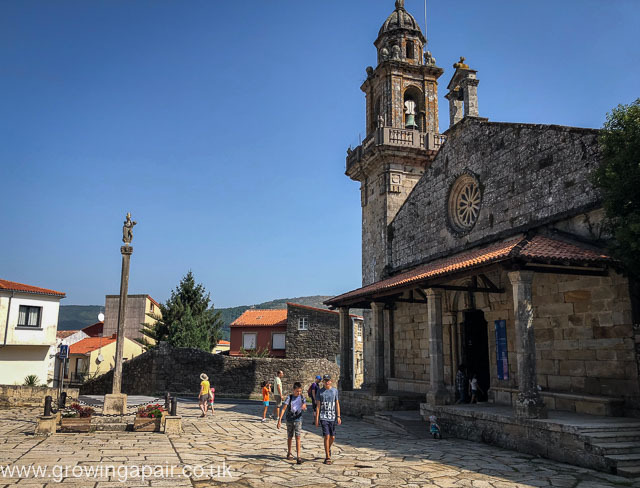 A hike up the hill in the town of Muros gets you to the picturesque church of San Pedro in a cobbled square. Pretty boats in the Spanish Rias. The boys and I went swimming in here. Not for long though – the water is baltic! 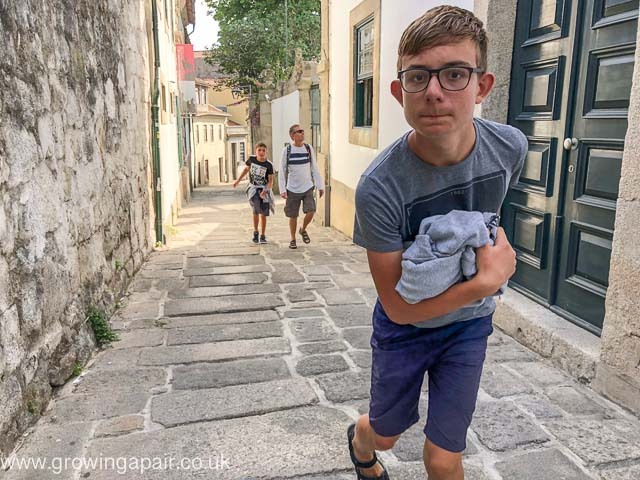 Our first Portuguese stop was a quick overnight pause in Viana do Castelo, a fascinating town of castles and old buildings. Next stop Lexioes, a port just north of Porto, with excellent beaches. The boys and I spent a week here while Dez flew home for work. Here we bumped into the crew of S/V Banyu Aman. We first met Jeremy, Yen Yen, Kai and Lia in a marina in Portsmouth. They left home on their adventure a few days after us. The kids are a bit younger than ours but all the kids got on really well, which is handy as the adults are fab. The kids loved the beach and Yen Yen loved the fish market, cooking up a variety of dodgy looking fish and bottom feeders for us to try. 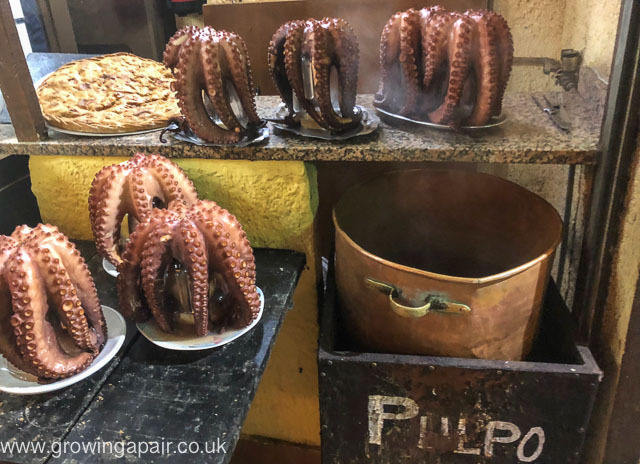 It was here in Lexioes that we discovered that Yen Yen’s idea of what is suitable to eat is very different to Dez’s, a fact that surfaced later in a medina in Morocco when she ordered a Moroccan delicacy – cow’s foot – almost making Dez lose his own dinner. 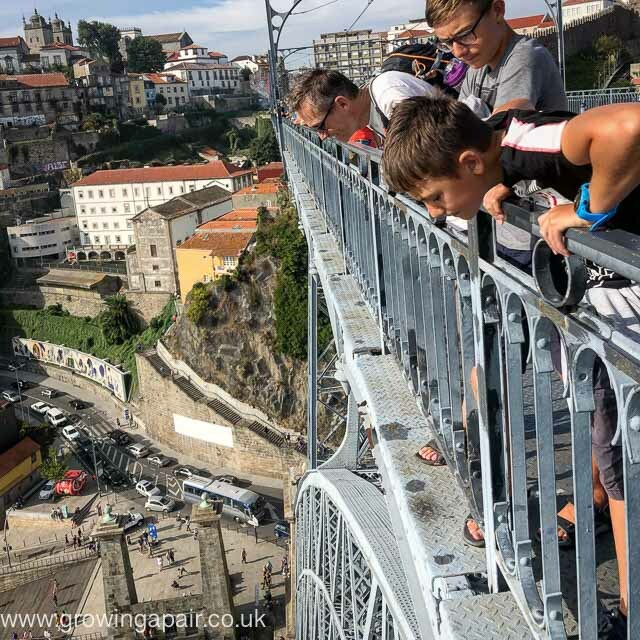 The Banyu Aman crew headed off down the Portuguese coast and, when Dez returned from the UK, we spent a day exploring the fascinating city of Porto, a bus ride away from Lexioes. 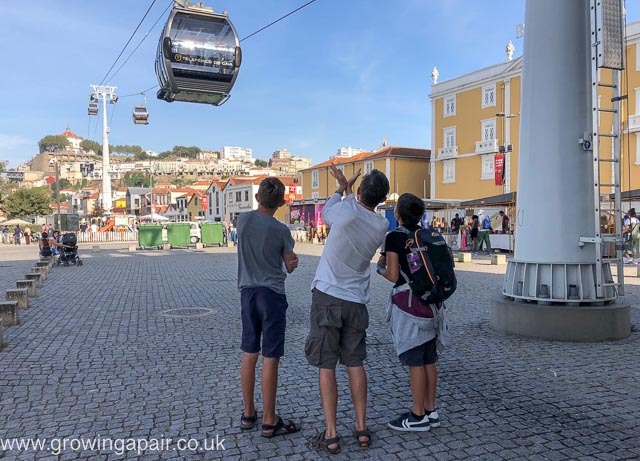 Dez explaining cable cars to the boys. 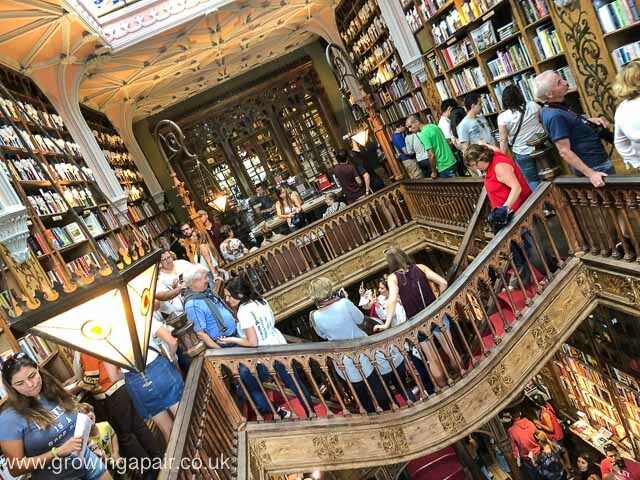 Livrario Lello – the most famous and one of the oldest bookshops in Porto, reportedly an inspiration to J. K. Rowling. You have to pay to go in and everything is overly expensive, even with the money off voucher you get with your admission fee. Go early to avoid the crowds. 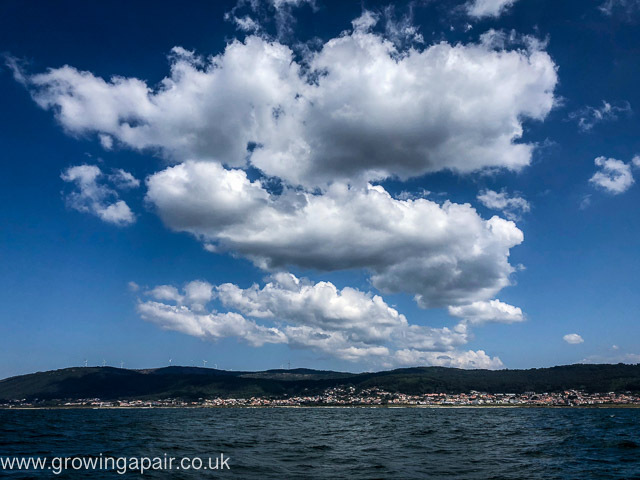 We sailed away from Lexioes and Porto on a long journey down the Portuguese Atlantic coast to Cascais, near Lisbon. Cascais marina turned out to be an expensive marina, way beyond our budget, so we carried on down the coast for a few more days to Lagos. Dez flew back home to work again leaving us poor crew all alone with the sunshine, beaches and stunning rock formations of Lagos. Shame. I tried and failed to get some boat things fixed. After almost a week of waiting for the unpleasant man from the local boatyard to get us some quotes, I gave up and did it myself. Who needs a welder when you have some scrap bits of hardwood, some leftover stainless steel bolts and a bit of wood glue? 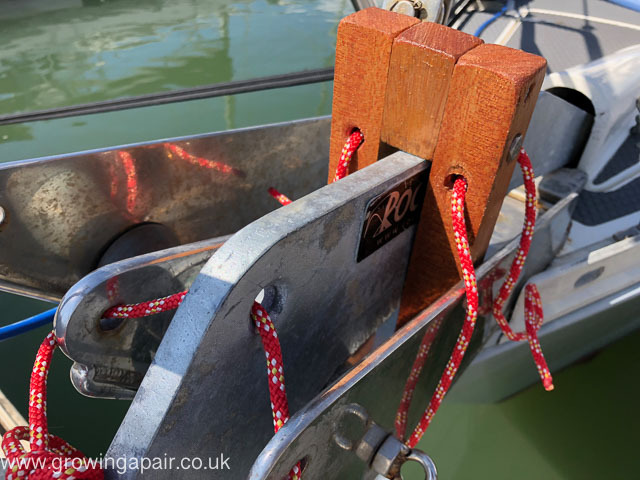 The new anchor now fits perfectly into the old roller (sort of). A few bits of left-over hardwood, a drill, some stainless steel bolts and a bit of rope. 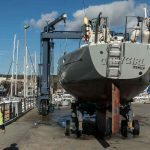 Who needs marine professionals?? 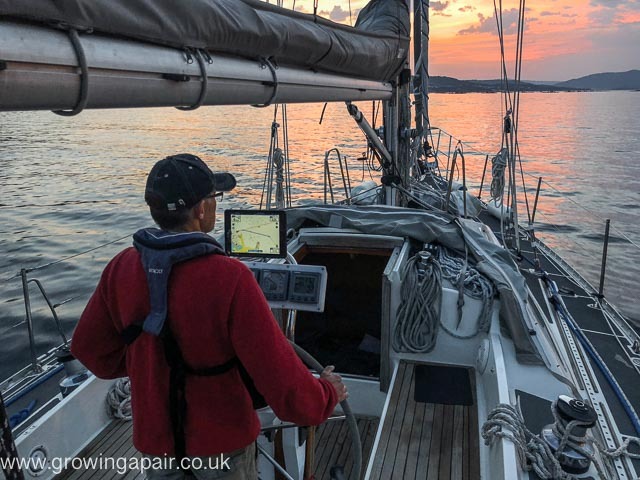 On Dez’s return, our plan was to prepare for a long passage from Lagos to the Canary Islands, our final destination. This would take about eight days. 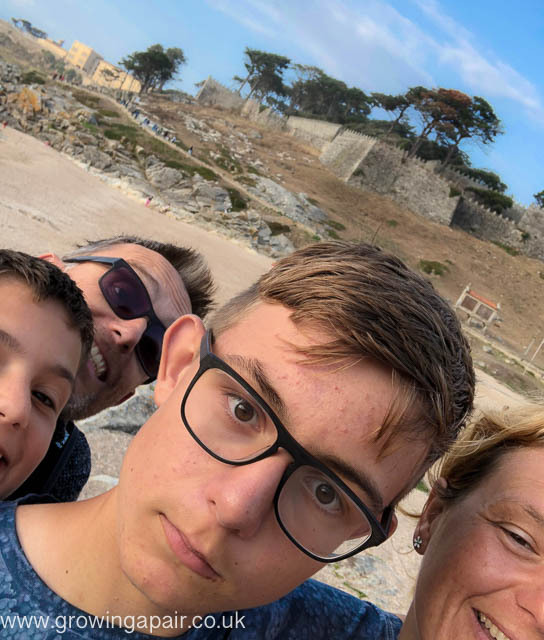 The boys and I started stocking up the boat with more baked beans and Angel Delight (OK so you can’t buy baked beans or Angel Delight in Portugal but we found a handy super market with chocolate based confectionary). And then the Banyu Aman crew got in touch and invited us to join them on their journey down the coast of Morocco. Now, we hadn’t considered Morocco as an option, but Jeremy is a proper sailor and insisted that it was safe and awesome. 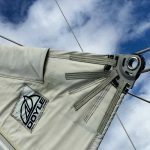 Not ones to turn down an adventure, we dumped our plans, left Lagos at the crack of dawn and anchored up next to Banyu Aman in Faro, a day’s sail east along the Algarve.